Just Kidz has been operating for over 17 years, providing high-quality early childhood education and care for pre-schoolers. Our pre-school Centres are well considered, purpose-built pre-schools, catering for young children’s best interests, loving care and educational needs. We are a strong and growing team of passionate educators who are highly committed to providing quality early childhood education and care for each child enrolled. We only employ qualified teachers or teachers in training to maintain our high- quality standards and offer superior care by maintaining better than government child to adult ratios. We strive to be the best and work with families to support their child’s overall development in these early years and give them the best possible experience in education and care. Debra & I built our first childcare in 2000/2001 and it opened in June 2001. It was the second building in the new Dannemora subdivision in East Tamaki Heights alongside the new Willowbank Primary School. Our second centre was in Pakuranga and though we expanded the capacity we decided 30 children too small for a managed service. We then set up St Johns for 75 children before grabbing the opportunity for 100 child centre at Westgate. Our philosophy for our business is to provide quality care and education and understanding this would lead business success. The business has developed over to several strategically located childcares. With the latest addition a franchised operation. Kia Ora my name is Vanessa Henry. My role is the Operations Manager for Just Kidz Educare. I have trained and worked in the early childhood education sector for over 23 years. I am a qualified and registered teacher and I am extremely passionate about meaningful, high quality early childhood education. I strive for the best in everything I do and seek this in others and for every company I become involved with. As a result of this, I have had the very rewarding position of leading others and motivating those around me to offer the very best in early childhood education. I have much experience in managing Centres and supporting pre-school companies at an operations level. Here at Just Kidz, I have the great privilege of working alongside a fabulous team in creating and maintaining successful learning environments for our youngest learners. I work closely with our managers across our branches to uphold our systems, quality standards and our personal, caring nature as well as with each Franchisee as they join our company. Within my Operations Role, I build close relationships with each Franchisee who joins our team and become their Field Support Officer, helping to train them and ensure they understand and follow the Just Kidz high standard. Training includes all our systems and standards, industry regulations as well as the personal company approach and how we value each staff member, parent and child who becomes a part of Just Kidz. My role in working with Franchisees is ongoing as I continue to offer guidance and support to ensure full implementation and the highest level of care and education is maintained at all times. Due to a careful selection process at Just Kidz, working with professional and passionate early childhood educators and business owners makes each day so rewarding. With such a great recipe for success and best outcomes for children, our company is growing. I look forward to meeting with other like- minded individuals who wish to become a part of our journey as well as families who are looking for quality care and education for their young children. If you would like to know more about joining our team, please click on the links below. You may register your interest in either working within our company or becoming a franchisee. If you would like to know more about one of our branches for your child or children, please click here and fill in an enquiry form and we will answer any questions you may have. Alternatively, you may click on our contacts page and call and speak directly to the branch of your choice. I am Wei Luo (Max),I am originally from Shanghai. I am new to New Zealand and live with my wife and 3 month old son.At Just Kidz Flatbush we are providing a high quality and large range of learning resources in a stimulating environment. Our professional teaching team are passionate about working with our youngest learners. As a successful business investor I hope to provide an excellent level of care and education and ensure Just Kidz is one of the best preschools in Flatbush. Hello, my name is Roger Tan, I am from Beijing in China. I have a deep passion for providing quality childcare and education. I take great joy from observing and encouraging children as they develop into life-long learners, creating, discovering, making social connections and becoming confident in their abilities. It is my aim to provide an environment when your child can grow healthily and happily. 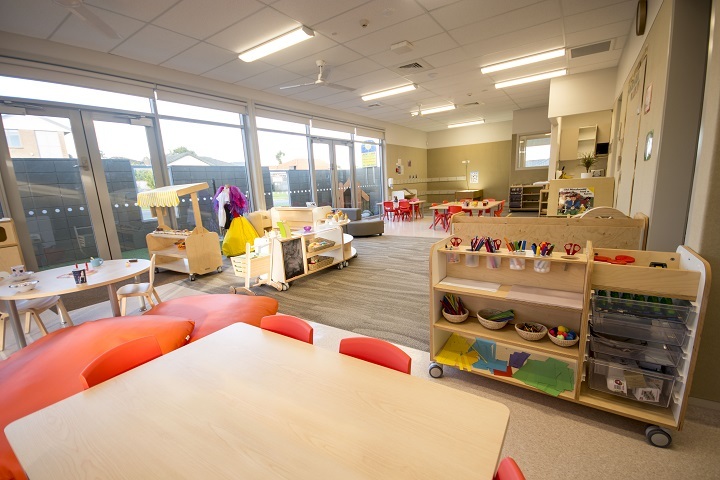 I am very excited to share with you my beautiful pre-school in Albany, with brand new equipment, wonderful staff and advanced management support and experience. Please come by soon and see it for yourself. We would love to show you why we are so successful. We will be opening in July 2018. Please call our head office for enquiries, email us or visit our website for updates.